The Irish Breeders Classic took place at Barnadown Equestrian, Co. Wexford from Thursday, 31st August to Sunday, 3rd September. The illustrious Irish Breeders Classic final was held on the Sunday after two qualifying rounds on the previous days. Twenty five horse and rider combinations progressed to the final with nine of these combinations advancing through to the jump-off. 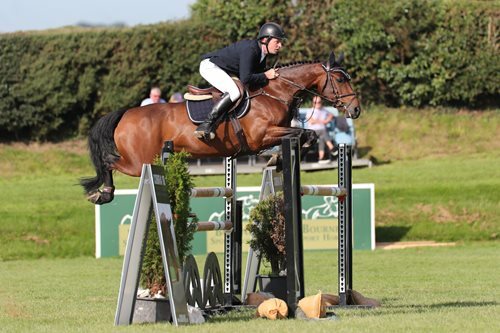 Ger O’Neill and the Irish Sport Horse mare Columbcille Gypsy claimed the Irish Breeders Classic title with a clear round in a time of 33.73 seconds. The six-year-old mare is owned and bred by Kilkenny’s Eamon Murphy.